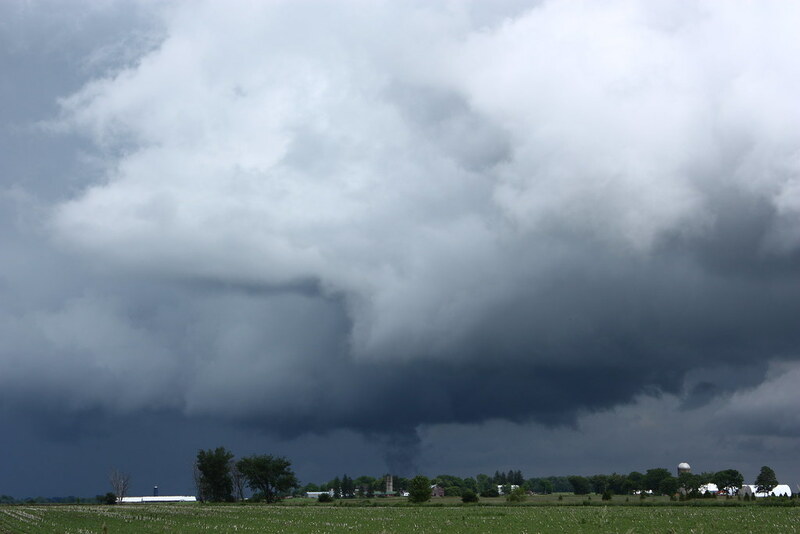 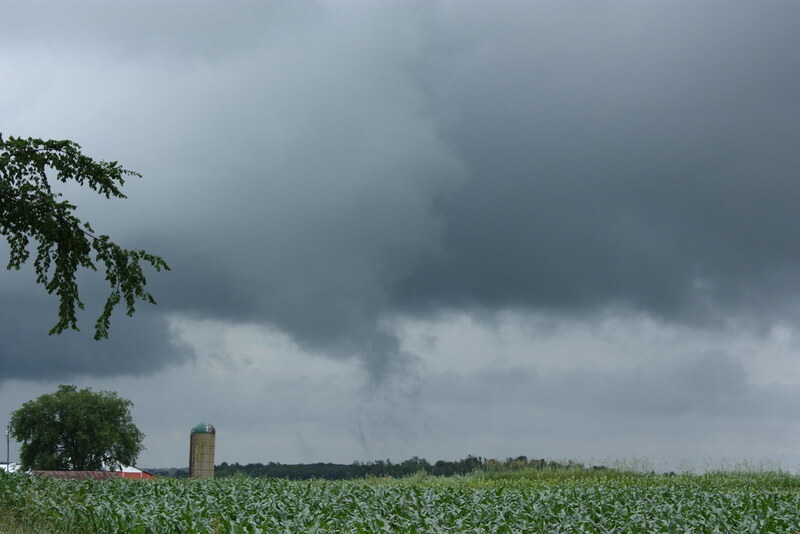 June 30/09 Landspout and another funnel near London - Ontario Storms Site! 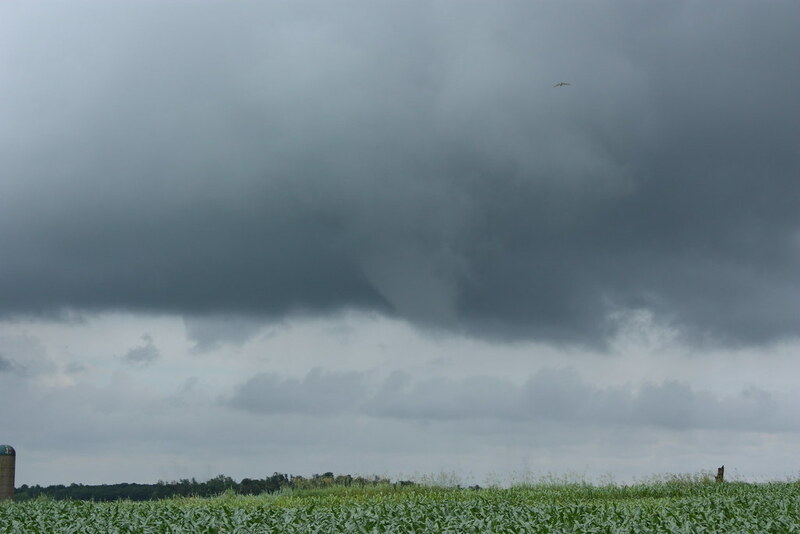 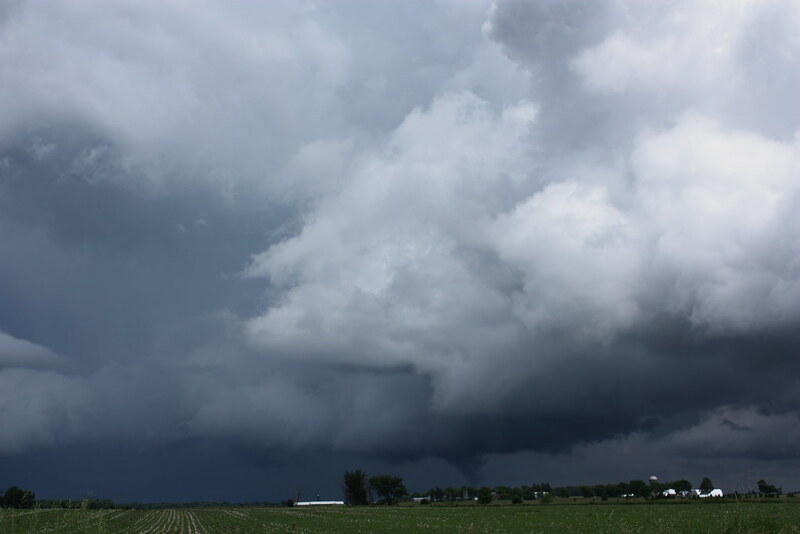 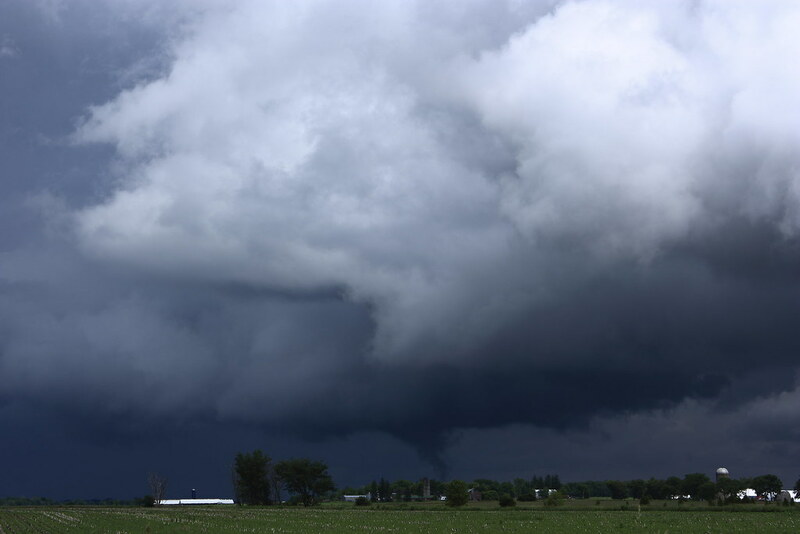 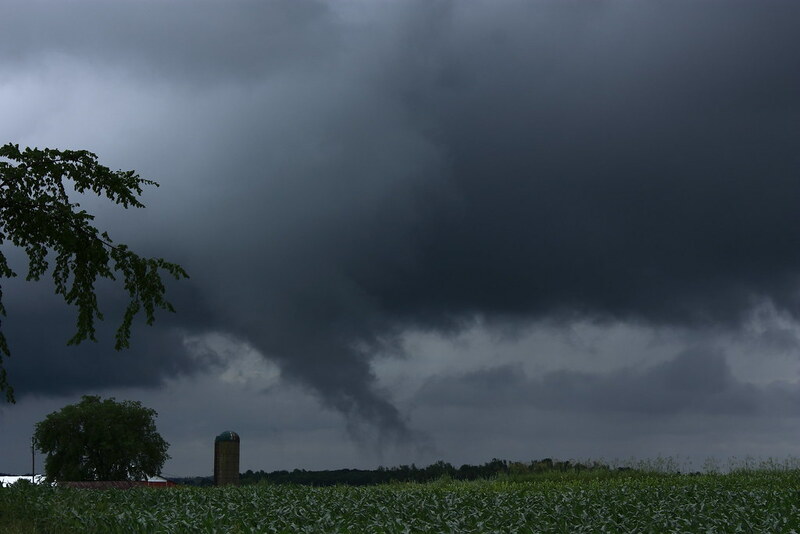 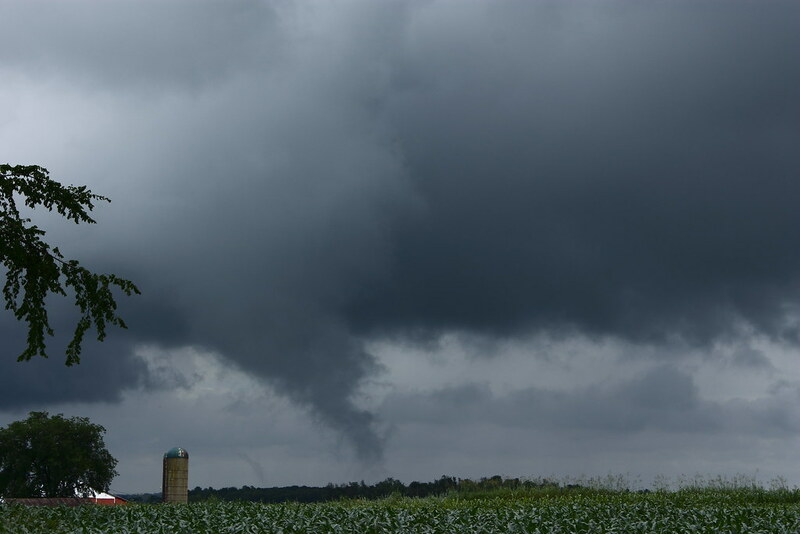 A chase five days after seeing an F2 Landspout in Avon resulted in a cold core funnel that lasted 30 min visually coming to the ground twice and another funnel after the first one died. 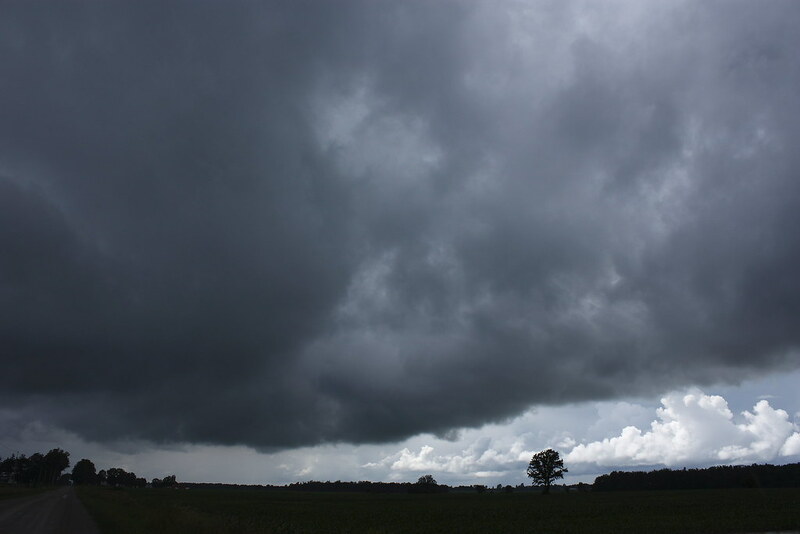 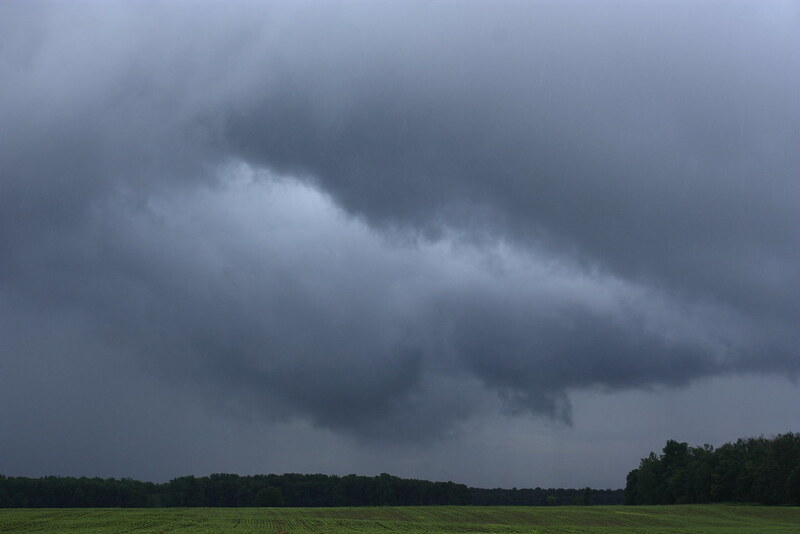 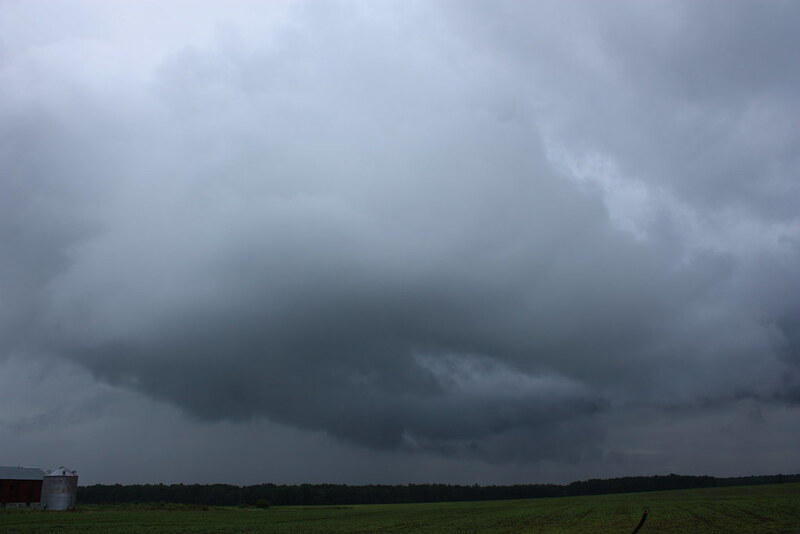 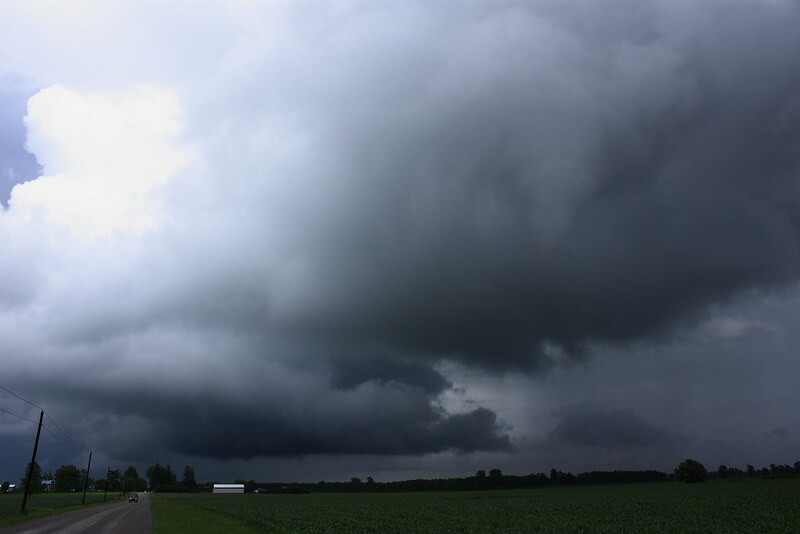 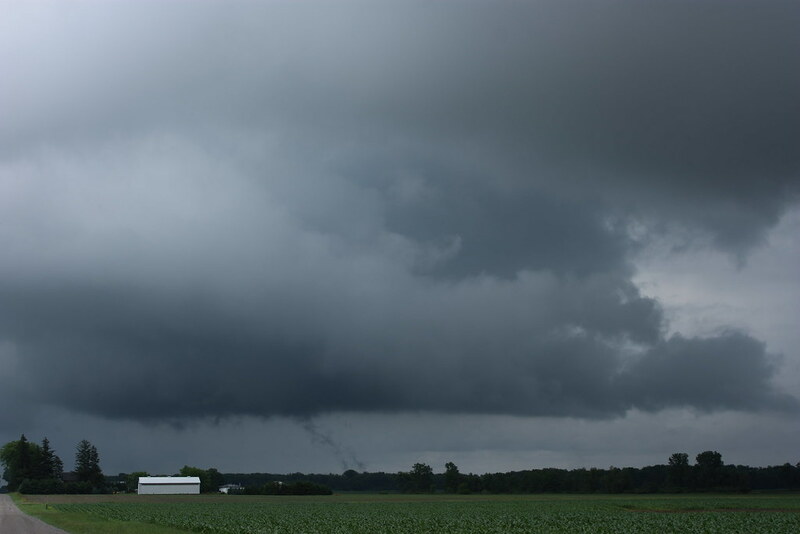 I arrive and a huge line of clouds is feeding into the west side of a storm existing on a massive rotating cold low over southwestern Ontario. 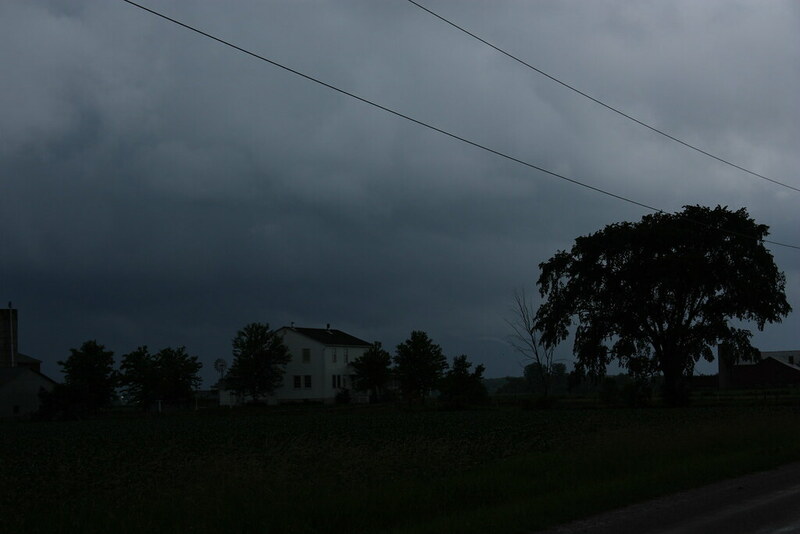 I start driving again to get closer as it had a steady path and it came down again! 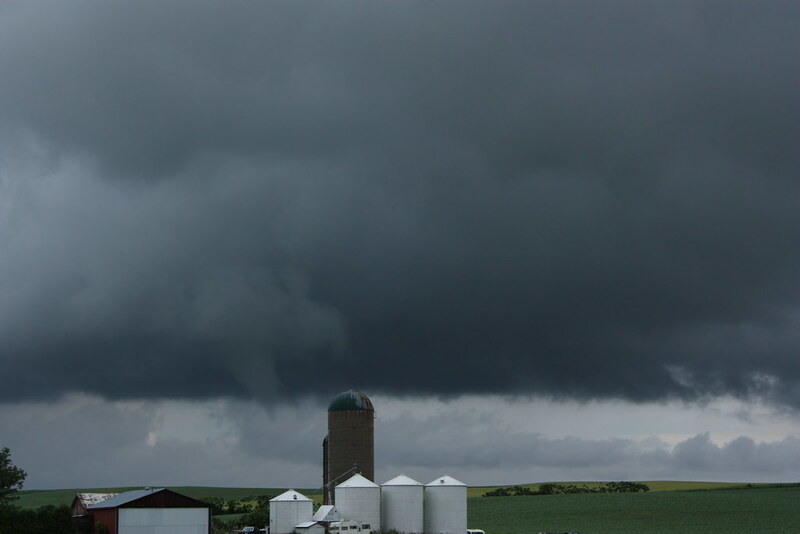 Very odd storm with structure as funnel starts sucking off the ground again about 25 min after first time. 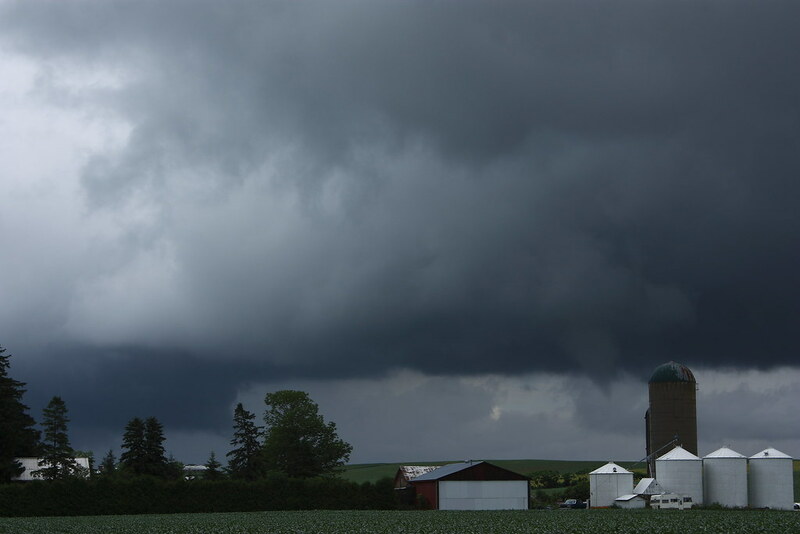 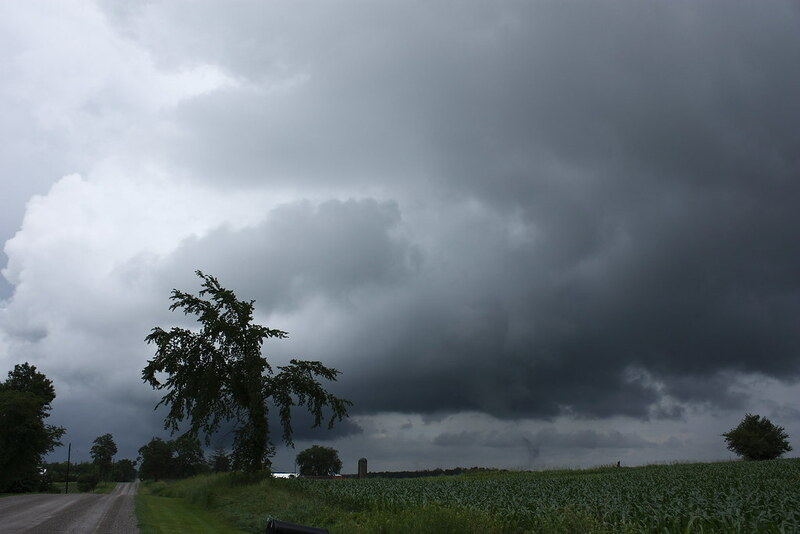 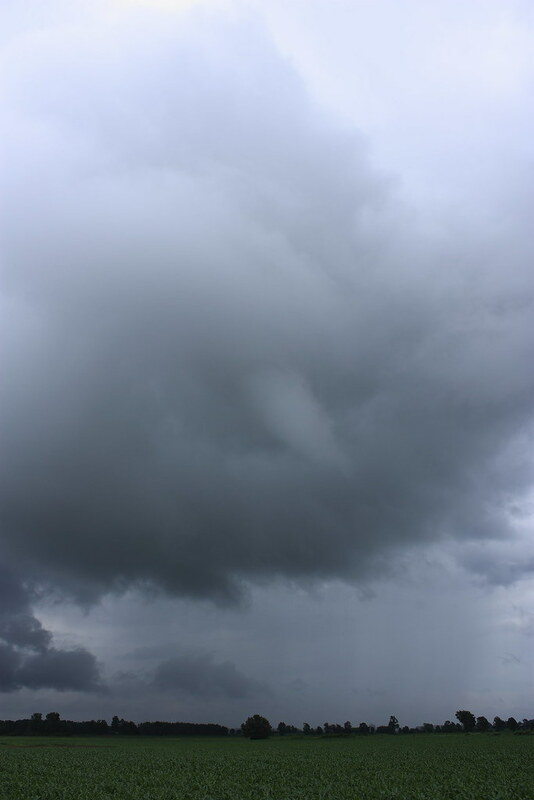 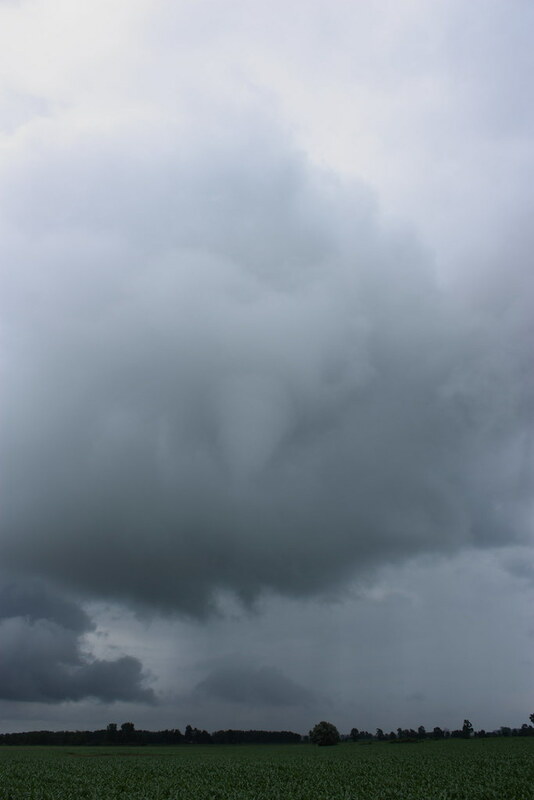 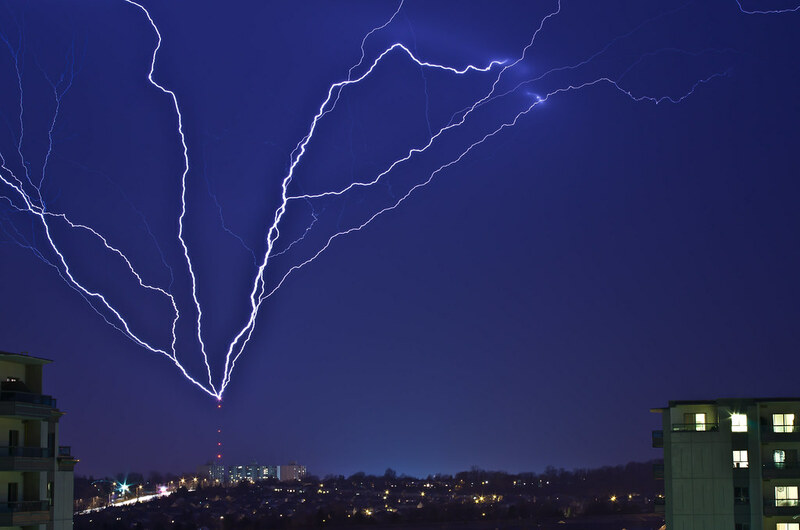 As that one dies I look to my west and see a big funnel roping out to the right of the house. 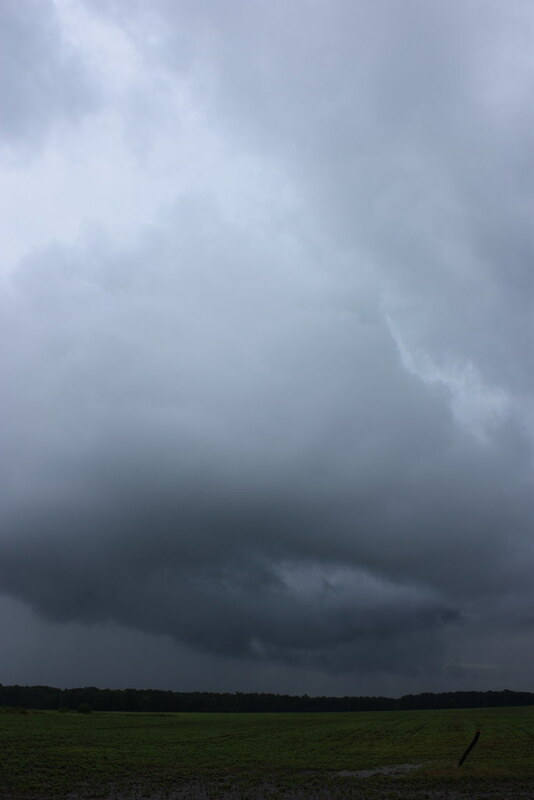 Bigger than it looks here!